Los Angeles County Supervisors have denounced a Trump administration plan to begin deporting Vietnamese refugees convicted of criminal offenses. Supervisor Hilda Solis asked her colleagues Tuesday to send a letter of opposition to the Department of Homeland Security and Congress, saying many of the refugees had been traumatized by the Vietnam War or were children of parents who fought alongside U.S. armed forces. A 2008 agreement signed by President George W. Bush bars the deportation of war refugees who arrived in America before July 12, 1995, when Vietnam and the U.S. re-established diplomatic relations. The Trump administration had said the pact doesn’t apply to immigrants convicted of criminal offenses. More recently, representatives from both countries met to discuss potentially dissolving the agreement, which is set to renew in January. “We must take action and do everything possible to stand with our neighbors and allies by opposing this ill-conceived shift in federal policy,” Solis said. 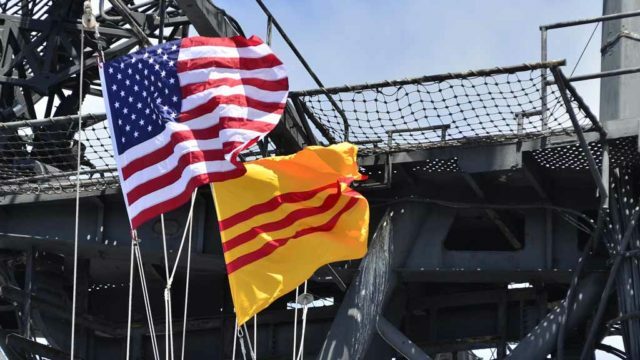 The New York Times reports that 7,000 Vietnamese people have removal orders, citing a statement by Department of Homeland Security spokeswoman Katie Waldman. “These are non-citizens who during previous administrations were arrested, convicted and ultimately ordered removed by a federal immigration judge,” Waldman said. The Los Angeles Times has reported that older residents of Orange County’s Little Saigon have been supporters of Trump’s hard line on immigration, saying others should follow a legal path to immigration, just as they did. Political commentators have worried that the administration’s move will further erode support for Republicans in Orange County.